* Please select the check-in date.! * Please select the check-out date.! * Please select a valid destination.! * Please select the check-in & check-out date.! * Duration of stay should be less than 20 days.! * Checkin date should be earlier than checkout date.! * The dates should be in future.! Located in the heart of India, Agra is invariably included on every travellers itinerary. And why not? It is not only home to three generations of the extremely dynamic Mughal dynasty but also to some of India's most magnificent architecture. Among the several legacies left behind by the Mughals, the Taj Mahal undoubtedly is India's most enduring icon. The beauty of this story in marble, whether by day or a moonlit night will simply bowl you over! Adding to its charm are several other finely crafted structures and monuments that date back to centuries. While on your trip, include a visit to the red sandstone Agra Fort, the well-laid out gardens and the two most renowned tombs of Itmad-ud-Daula and Sikandra. There's much to see here, so ideally we recommend you set aside two full days to soak in this fascinating history. The easiest mode for a city-tour is a taxi or auto-rickshaw – remember to negotiate your fare though! Remember that no motorized vehicle is allowed in the Taj vicinity to cut down on air pollution – so walk or hire a cycle-rickshaw. Taj Mahal: Undoubtedly India's definitive monument, the Taj Mahal needs no introduction. One of the Seven Wonders of the World, it was built by Shah Jahan for his beloved queen Mumtaz Mahal as a labor of love. It is graced by four minarets and a perfect dome, beneath which rests their tombs. It's not just the perfect symmetry in its design, but the exquisite carving covering every inch of the marble that grabs your attention. These intricately carved designs, mostly floral bouquets, are inlaid with precious stones. A peculiar feature - watch the calligraphy adorning the walls. They increase in size as you look up, creating an optical illusion of all letters being the same size. Another astounding feature is the filigree screens that surround the cenotaph carved out of a single piece of marble. It is believed that the Taj changes color depending on what time of the day it is. We recommend visiting it in the wee hours of the morning or in the evening when the sunset renders it an orange hue. The best time, though is on a full moon night when the entire structure is bathed in a silvery sheen, giving it an ethereal appearance. Agra Fort: This World Heritage sight is located next to the Taj Mahal and is built in red sandstone. A crescent shaped fort, it is surrounded by ramparts of red sandstone and a deep moat on the outer wall. Within the fort are several interesting structures and buildings. Visit the Jahangiri Mahal, which used to house the women of the palace. This palace has a stone pool before it, which as believed to have been filled with rose petals during Noor Jahan's time. Adjacent to it is the Anguri Bagh and the Khas Mahal, which is strikingly another example of Shah Jahan's designs in white marble. Also located within is the mirrored Sheesh Mahal and Mina Masjid or (Gem Mosque). Adjacent to it is Diwan-i-Khas (Hall of Private Audience), and beyond it is Diwan-i-Am (Hall of Public Audience), where the emperor addressed his subjects' issues. Timings - English 7.30 pm, Hindi 8.30 pm. Chini-Ka-Rauza: This Persian style tomb is an impressive masterpiece of glazed style dÃ©cor and architecture. The Chini-ka-Rauza is covered with coloured enamel tiles, zig-zag patterns in crimson, orange and white, floral designs in blue, green, orange and red and traces of paintings and Islamic calligraphy can also be seen. It is particularly noted for its Persian influenced dome of blue glazed tiles. It is dedicated in memory of Afzal Khan, a Persian poet and Prime Minister in the court of Akbar. Itmad-ud-Daula: Also known as mini-Taj, this tomb was built by Nur Jahan for her father Mirza Ghiyath Beg, who was given the title 'Itimad-ud-Daula' (Pillar of the State). Constructed in marble, this monument marked a shift in Mughal architecture - from red sandstone to white marble. The entire structure is adorned with delicate motifs and typical Persian paintwork. The walls are encrusted with precious stones in the form of trees, wine bottles, cups and vases. The building also consists of a garden, which is interwoven by water courses and walkways. Fatehpur Sikri: Built by Emperor Akbar, the now-deserted city of Fatehpur Sikri was the capital of the Mughal Empire for nearly 10 years. Today, a World Heritage site, it houses within it some of the most magnificent buildings. Of particular interest would be the Diwan-i-Am, where the ruler met the public and the Diwan-i-Khas or the Hall of Private Audience, marked by its central pillar and vaulted brackets. The Panch Mahal is a five-storeyed palatial structure and the tallest in the compound. The Jama Masjid is one of the largest mosques in India and has several aisles around a central courtyard. It houses within it the tomb of the Sufi saint, Sheikh Salim Chisti. The Masjid is decorated with inscriptions, geometric patterns and colored tiles. A distinguishing feature - watch the rows of chhatris over the main building. The Buland Darwaza, rising to about 45 ft, was added to commemorate Akbar's victory over Gujarat and is inscribed with splendid calligraphy. Jodha Bai's Palace is perhaps the grandest of all palaces here with its large courtyard surrounded by pavilions - note its beautiful green glazed roof tiles. *Open on all days from sunrise to sunset. Ram Bagh: The oldest Mughal garden built by Babur, it is located close to the Taj Mahal. It is marked by pathways, canals and cascading water over terraces. Sikandra (Akbar's Tomb): The city of Sikandra houses the tomb of Akbar. Legend has it that the construction and design of the tomb was started by Akbar himself, and subsequently completed by Jehangir. The tomb is made of five storeys, the first four built of red sandstone and the fifth with marble. The tomb also has several well-maintained gardens. *Open on all weekdays from sunrise to sunset. Agra is home to some excellent and most authentic Mughlai cuisine as well a wide variety of multi - cuisine restaurants and eateries. For some yummy Mughlai cuisine, head out to Navratan Restaurant, Shivakash Restaurant and Capri Restaurant. Malika Restaurant in Hotel ManSingh is a place to try out an endless variety of kebabs and tandoori food. For some non-greasy vegetarian fare, try out the spinach parathas at Zorba the Buddha. Dasaprakash offers some of the best South India fares that include sada dosa (plain rice and lentil pancakes), masala dosa (pancake with potato stuffing), uttappams (thicker pancakes), and idlis (steamed dumplings), all served with coconut chutney and sambar (spiced dal). 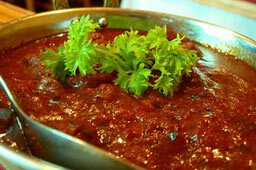 Some better dining options include Jhankar at Taj View, Peshawari at Mughal Sheraton and Mughal Room at Clarks Shiraz. If you're looking for some Chinese and continental delights head out to Petals Restaurant and Gallops Fast Food. Finally, don't miss out on savouring a taste of Dalmoth (a savory) and Petha (a sweet made of white pumpkin). Agra, known for its contemporary and fine arts traditions is an important center for handicrafts. Shopping in Agra is definitely an experience with several shopping areas and markets sprawled all across the city. Especially noted for its marble inlay work, leather goods, and zari embroidery, Sadar Bazaar and south of Taj Ganj are popular shopping areas. You can also head out to The U.P State Emporium that offers a wide selection of handicrafts under one roof. Visit the Shilpagram, craft village on the eastern side of Taj Mahal which is a popular open-air emporium. No matter where you shop, remember to bargain! February marks the beginning of springtime and the Taj Mahotsava, which is a celebration of the arts and crafts, rich culture, heritage, music and dance. It starts with grand processions and you can watch elephants and camels adorned in jewellery; it's a ten day celebration that turns into one non-stop carnival. You can avail wood carvings from Saharanpur, earthenware of Khurja, metal ware from Moradabad and the all-time favourite chikan-work of Lucknow. The Urs Festival is celebrated at Sheikh Salim Chisti's Dargah at Fatehpur Sikri, during Ramzan. Also celebrated in February, the Kailash Fair is one of the most awaited fairs here. It is celebrated for Lord Shiva on the occasion of Shivratri, who is believed to have emerged by means of a stone lingam. The Bateshwar Fair held in October or November is also dedicated to Lord Shiva. It is visited by thousands of devotees, who take a dip in River Yamuna and participate in the livestock and cattle fair. Another interesting festival held annually in Agra is the marriage procession of Lord Ram & Sita, known as Rambarat. Actually a part of 'Ramlila', a drama on Lord Ram's life, this fair is marked by beautiful jhankis of the deities and the special set created of Sita's palace. The wedding is attended by a large number of devotees and the procession passes through different parts of the town. A special chariot bedecked with silver leaves is used as the mount of Ram. Especially stunning are the elaborate and heavy headgears. A tourist spot as visited as Agra, it has a range of hotels and accommodation options, ranging from budget to 5-star category, most located within the Taj vicinity. An exceptionally popular hotel, especially with non-Indians, is Hotel Yamuna View that offers the best of food, stay and a breathtaking view of the Taj Mahal from its rooms. Other luxury hotels include the Grand Hotel, Howard Park Plaza and Hotel Amar, most of which offer good value. If you're looking for more budget options, you can try the Hotel Ganga Ratan, Rahi Hotel Tajkhema and Hotel Delux Plaza, which offer relatively clean rooms and most amenities. Air: Agra being a major tourist destination has most domestic airlines operating daily flights. Rail: This is undoubtedly one of the most convenient ways of reaching Agra. The main railway station here is the Agra Cantonment Railway Station. From Delhi, you can take the Bhopal Shatabdi or catch the Taj Express. Trains from Rajasthan arrive at the Agra Fort Station. Road: Agra is about 195 kms from Delhi and several air conditioned buses and deluxe coaches ply between the states. The main bus stand is at Idgah, which has regular buses leaving for Delhi and Jaipur. Nur Jahan, who married Jahangir, was one the first women to wield political authority and rise almost to being the Empress of India. An extremely intelligent woman, she was the first to actually have coins minted in her name. She was extremely interested in art and the likes and brought about several changes in the clothing styles of men and women of that period. She was a skilled poetess and interested in architecture as well. Her finest example of architecture was the tomb she created for her father, Tomb of Itimad-ud-Daula, which is created in white marble, has Persian motifs and inscriptions, has four towers on the corner of the building and has a flat roof as the top of the tomb. She was also skillful in perfume-making, which it is believed, she learned from her mother. In fact, she is credited with inventing the rose itar (perfume) and the popular chikankari work found on clothes.